The Begin Center has initiated a new project to commemorate the Lehi and Etzel fighters of pre-state Israel. Last night, a special event launching a project commemorating soldiers of the Lehi and Etzel units of pre-state Israel and documenting their stories was held at the Begin Center in Jerusalem. 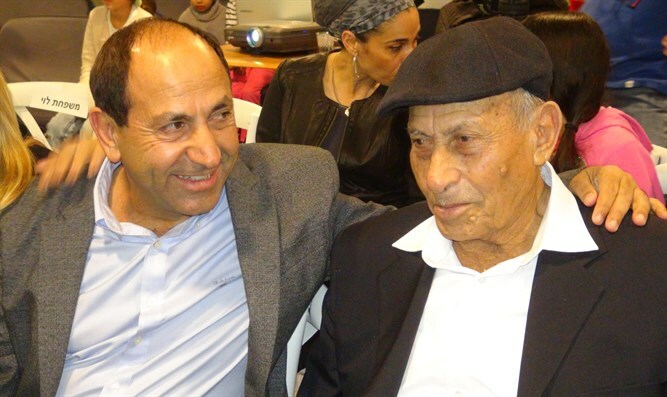 The event was dedicated to the Lehi fighter and Jerusalem resident Mordechai Levy, whose son, businessman Rami Levy, owns the eponymous supermarket chain. Mordechai Levy drafted to Lehi at age 15, fought in a number of daring operations against the British, and was even incarcerated by the British afterward. He was wounded in the back during fighting. Thousands of Lehi and Etzel fighters fought for the establishment of the State of Israel. The new project initiated by the Begin Center is intended to document their stories and memorialize their the fallen. Rami Levy, himself, has committed to to help the project. “Everyone has a present and a future, but we can’t forget the past,” Rami Levy said. “These people built the State. My mother and father are the source of my strength. The Begin Center turned to me, and I was happy [to help…], these people are heroes of Israel.